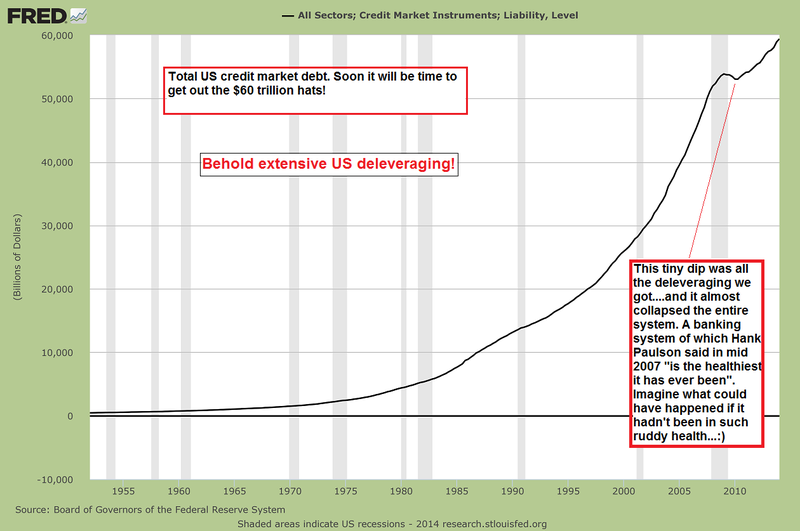 Advancing Time: Debt Has Burgeoned, Is The Day Of Reckoning Near? Debt takes many forms and shapes and is not contained in auto and student loans. With low-interest rates many companies have borrowed a great deal of money to buy back stock, this has been one of the forces driving the market ever higher. A comment from a reader highlights this and why it might be a big problem when he wrote; It is fairly obvious that not all IOU's are deemed as trustworthy, and as trust drains from this over-indebted system, shakiest issuers' debt will lose value fastest. 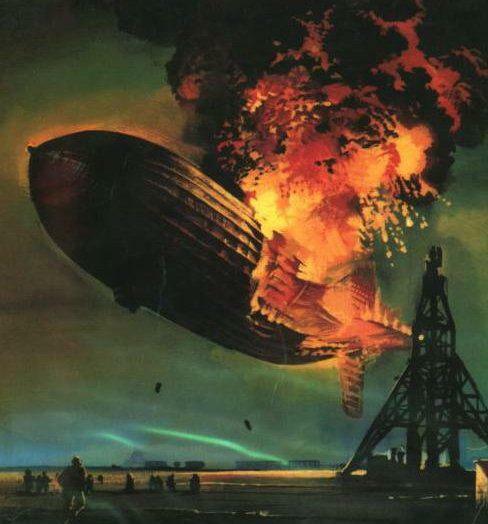 Junk debt is thus a Hindenburg in search of a spark all its own. Wait until corporations discover how difficult it may be to roll over all this share-buyback debt of the last few years. The artificially low-interest rates we have experienced over the last decade have skewed all markets especially the credit and debt markets. 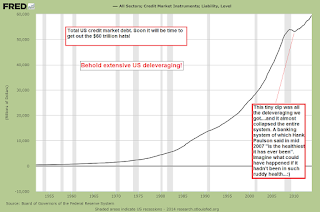 This created a debt explosion that extends into everything including consumer spending and the statistics surrounding their effects on the economy. Those in charge of the economy have made the mistake of thinking markets are like clay that can be molded, this is in conflict with the law of economics where in reality markets are like water and will always seek and find their own level no matter who or what tries to control them. The massive debt load hanging above our heads has not receded or gone away it has merely been transferred to the public sector where those in charge of such things feel it is more benign. By a series of off-book and backdoor transactions those in charge have transferred the burden of loss from the banks onto the shoulders of the people, however, shifting the liability from one sector to another does not alleviate the problem. It appears the world has passed the point of no return when it comes to our experiment in monetary manipulation. Modern Monetary Theory (MMT) was to be our salvation and a tool to even out economic cycles but instead, it has morphed into a massive debt machine that drives the economy forward. We may soon rue the day we started down this path for it leads to a very bleak place. 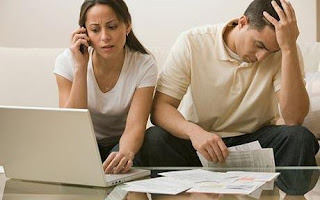 Writing off bad debt is usually a painful process and I don't mean for the debtor but for the creditor the person, business, or institution that holds the paper. It generally constitutes an unplanned and involuntary financial adjustment. We as individuals should be concerned as to the many ways all this might spill over and affect our lives. Clever sounding terms like "transitory" are often used to mask growing problems and to inject a bit of sophistication to this problem while trying to brush reality aside. Sometimes a person arguing that growing debt is under control will even go so far as to explain that some of it is good debt or boast how we are enjoying the positive effects of the loose lending standards. All debt is not created equal with the devil often buried in the details. This means the writing off of debt will not be an orderly and even process. One major difference is whether it is backed by assets or collateral. Many other factors affect the strength or impact of defaults. One example of this is when it becomes payable, some debt is stretched over decades while other obligations are short-term and paid with a balloon payment or all at one time. 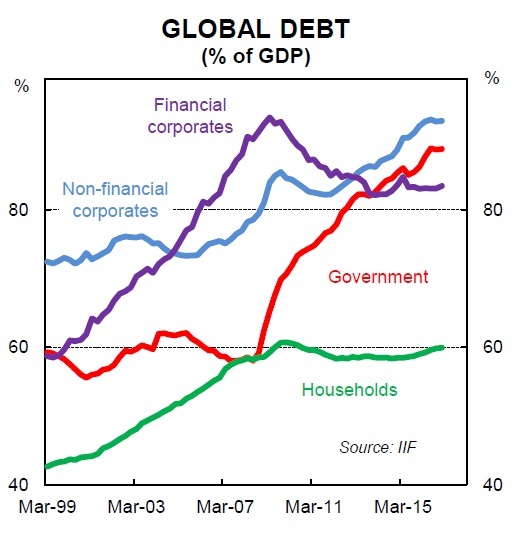 Also, debt is computed at different interest rates and this can affect its long-term impact. Another often forgotten issue is whom the debt is owed to and the impact default will have on their ability to honor their current and long-term obligations. I have seen several businesses forced into bankruptcy when a large customer defaults and cannot pay its bills. 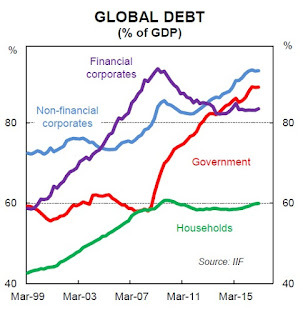 Across the globe, since 2008 the central banks and governments of the world have played a giant game of hide the debt which has resulted in increased speculation that propels the creation of leverage or carry trades that multiple risks. It also tends to move demand forward and cause an increase in the improper allocation of capital. A great deal of what is being seen as deflation flows from a loop being created from lower interest payments on things like autos, sadly this is a one-off and only goes to distort prices and mask deeper problems developing under the surface. Lessons from the "Financial World" can be doled out rather rapidly making it important to pay close attention, they include new terms like bank bail-ins where you can be given a very expensive "haircut" to "claw-backs" a term referring to how a deal isn't over even after its over. As noted above, the problem of debt hangs above our heads as a Hindenburg in search of a spark. It is important to consider how this will all play out or shakedown during the next financial crisis or time of economic stress and while it is yet to be determined the ramifications remain powerful. Often unpaid debt shifts the pain or obligation to another party and transfers wealth, usually, this is not a voluntary act unless the note is being forgiven by the holder. I see bad debts on the rise and the effect to both the economy and the lives of those waiting to be paid will be massive and undeniable in coming years. Defaults will reveal their ugly side when pensions are cut, inflation edges higher, or simply by resulting in lowering our overall standard of living. The fact is some way or form the piper must be paid and that is when we will be reminded that there is no such thing as a free lunch.